Adam Vaughan, a Toronto Liberal MP and parliamentary secretary for urban affairs, has apologized for a tweet in which he seemed to suggest that people should inflict physical harm to Ontario Premier Doug Ford. 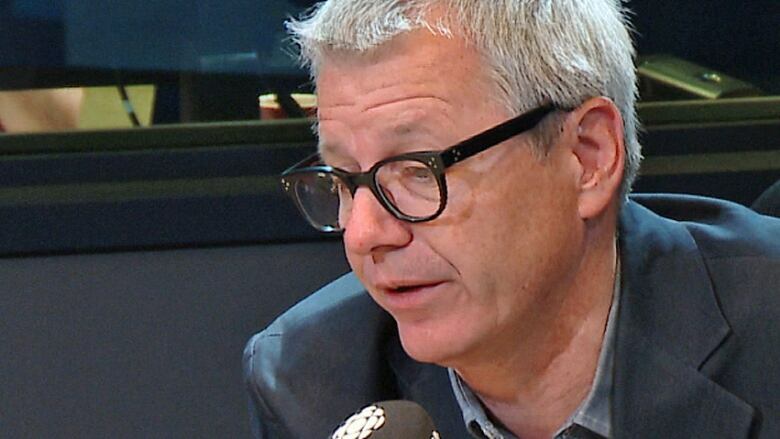 Liberal MP Adam Vaughan has apologized for a tweet in which he seemed to suggest that people should inflict physical harm on Ontario Premier Doug Ford. Early on Saturday, Vaughan, who represents Spadina-Fort York in Toronto, posted a tweet in which he made reference to the Ontario government's position on full-day kindergarten. "So Frod's [sic] gang could get folks upset over hurting Kindergarten students instead of being angry over the damage he's done to university students," the tweet reads. "Next he will go after young offenders & end 'free school' in detention centres … instead of playing whack-a-mole; Let's just whack him," it continued. Vaughan also posted pictures of children playing whack-a-mole with images of Ford's face edited onto the game. After several people condemned the tweet, Vaughn sent out another post in which he said he'd been contacted by a lawyer representing the "Moles of Ontario." "They resent being compared to Premier Ford. I've tried to reach out, but apparently they are an underground organization. (No moles were hurt in the making of these cartoons) #sometoriesarewhack." Several hours later, Vaughan tweeted prepared statement apologizing specifically to "those who took offence" to his earlier posts. "To all who are offended and missed the original cartoon. Whack was in reference to whack-a-mole. Not everyone has seen the cartoon and without it the comment lacks context," Vaughan writes. "It was never my intent to suggest anyone, anywhere should inflict real physical harm to Premier Ford. To those who took offence, I'm sorry." Vaughan did not reply to requests for further comment from CBC Toronto. Eleanore Catenaro, press secretary in the prime minister's office, did not directly respond to requests for comment and instead referred a reporter to Vaughan's latest tweet. Ford's office was not immediately available for comment.